On a normal day I get anywhere from 4.5k - 6.8k points without a issue depending on how the server is doing that day. 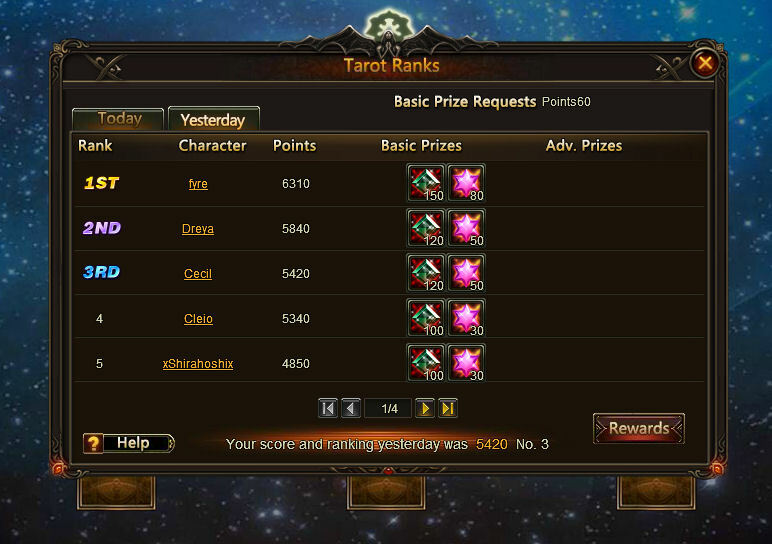 Today because the game is constantly freezing up in tarot I didn\'t even make it past round 4. I thought it was my end so I did everything I could to test it but it wouldn\'t fix the issue. 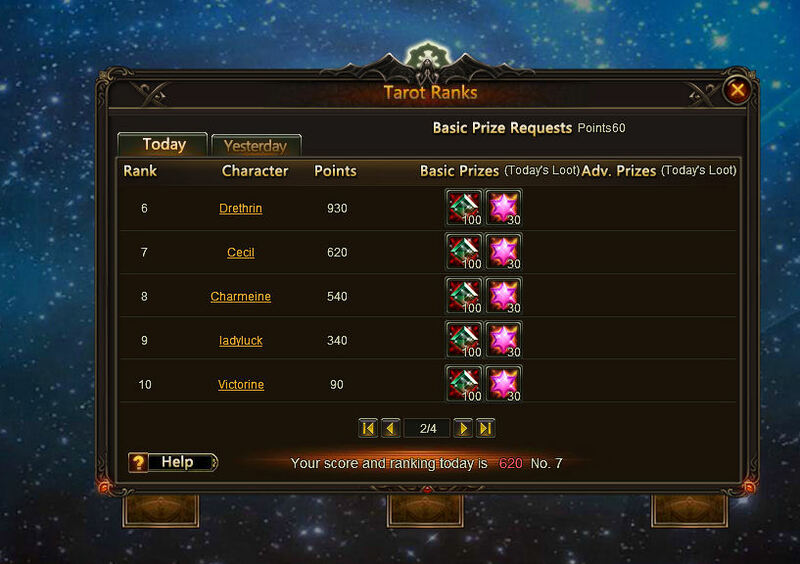 My total Score for today was only 620 points. I asked a friend to try and it did the same thing to them so i know it wasn\'t just me. i had same problem a few days ago and mods sent report in, so hopefully they will address soon. Devs are aware of this issue and they are taking care of it. 2019-4-25 04:37 GMT+8 , Processed in 0.054235 second(s), 40 queries .